Mamey Island, is a place full of peace and quiet to relax and unwind a bit, not to the complete isolation, since it is a fairly accessible. People are very friendly and there is a beautiful landscape, characteristic of our Panama. This is a small island (about 4000 m2) in the Costa Arriba of Colon province, just 200 meters from shore and just over one nautical mile from the community of Puerto Lindo. Part of Portobelo National Park. To the east is the larger island and beyond Linton, Isla Grande. If you do a bit of research about Panama, you begin to quickly realize that it has a few distinct regions or zones. One of the most popular among them is the central area that is home to the capital city of Panama City as well as some other provinces. Additionally, you may learn that Panama is surrounded by many archipelagos and islands. This was part of its initial appeal to Europeans who saw the area as sheltered and quite promising. This is one of the reasons that the Colon Province was (and remains) a hub of business and commerce. Sitting close to Panama City, Colon is where you will find the world's second largest duty-free zone, and where finance and industry are still the emphasis. Perhaps this is why so many people overlook the area around Colon as a place of natural beauty and wonder. Perhaps they think - business, banking, and shipping and forget that it is also Panama. 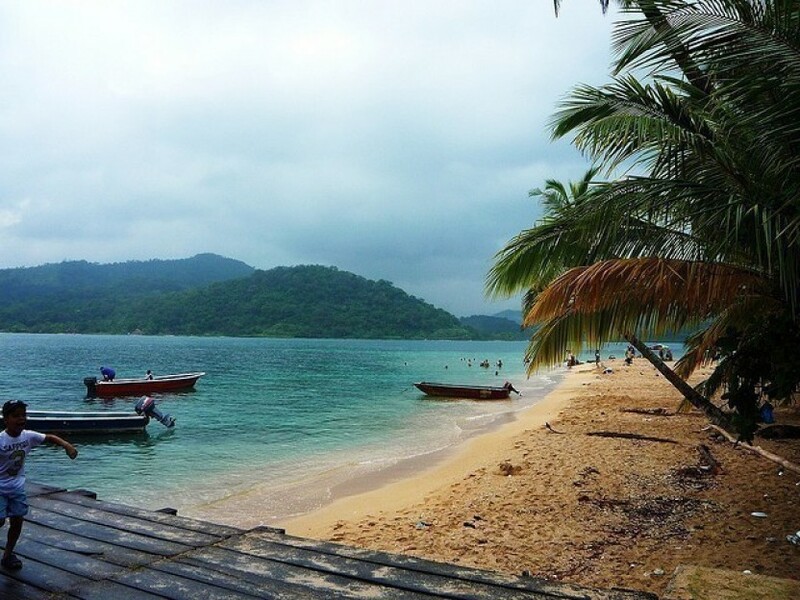 Panama is Naturally Beautiful It is important to remember that Panama is a remarkable republic because of its dedication to land preservation and protection. More than 20% of its land is held as national parks, and more than 30% remains jungle. Even the remaining indigenous people are given protected status and encouraged to retain their culture through a great deal of autonomy. This emphasis on the more important things in life spills over on the people of Panama too, and most are happy to meet travelers. Visitors quickly discover that locals are more than glad to speak with them, share information about their homeland, and offer recommendations about where to go, what to do, where to eat, and so much more. Visitors to the Colon Province are often pleasantly surprised by the friendliness of the people in the rural area, and particularly those who inhabit the small islands in the Costa Arriba region. This is where Mamey Island is located just 200 meters from shore, and where you can enjoy a truly delightful kayaking adventure.